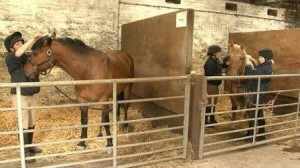 Equestrian schools, stables & farms are now seeing the benefits of Infrastrip infrared heating. In a stable, barn or other large open interior space, infrared heaters are specifically made to produce safe, comfortable radiant heat. Usually, infrared heaters are directed downward from the ceiling towards a target area below. 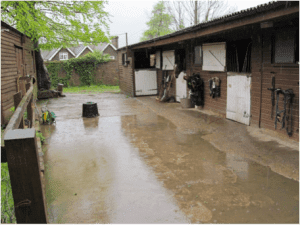 For instance, in a horse barn infrared heaters can be directed toward a wash and grooming area or down a common walkway or even above individual stalls. In the specific case of horses for example, infrared heaters are used for drying the coats of horses after washing. Their static mode of functioning does not cause the horses any stress or discomfort, and they can replace the use of noisy hairdryers. This can also apply in the case of the drying of dogs following grooming or if they have been out working.